I got a wild hair today and I built a house for my resident bats that do such a good job of keeping the mosquito population under control. Building a bat house is pretty easy and it only takes a few small pieces of wood. 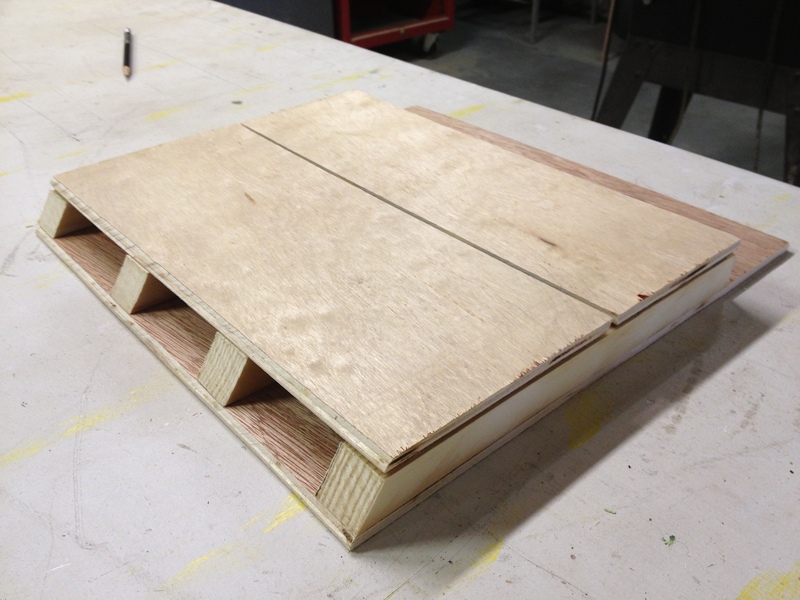 What follows are easy step by step instructions for building a small and simple bat house. It’s so easy you can do it yourself! 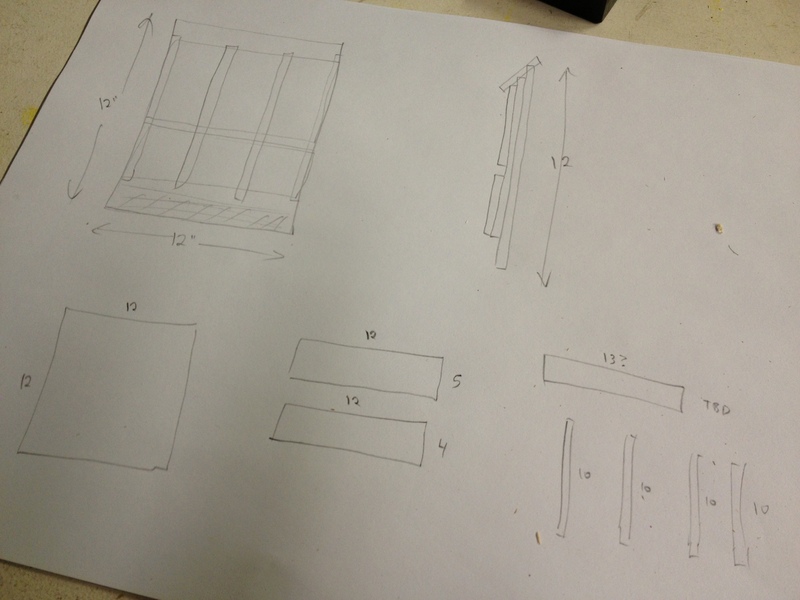 It might be hard to read, but basically it only takes a 12 inch by 12 inch piece of plywood for the back, plus a couple smaller plywood pieces for the front and one more for the roof, plus several thin slats. Here is a photo of all the wood for my bat house project, except for the roof, which I cut last after the rest was put together. You can see the 12 by 12 plywood piece for the back, plus a 12 by 5 plywood piece and a 12 by 4 plywood piece for the front, plus 4 wood slats that are 1/2 inch by 1 inch and around 10 inches long. I cut the slats to their proper length during construction to fit the front of the house, so right now they are just a little long. 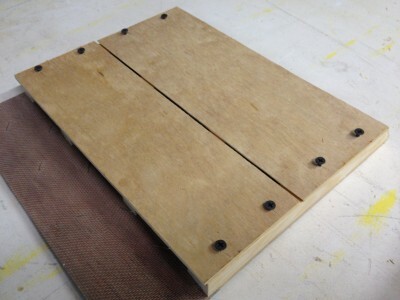 The plywood I used was some thin veneer that I had laying around that was leftover from another project. 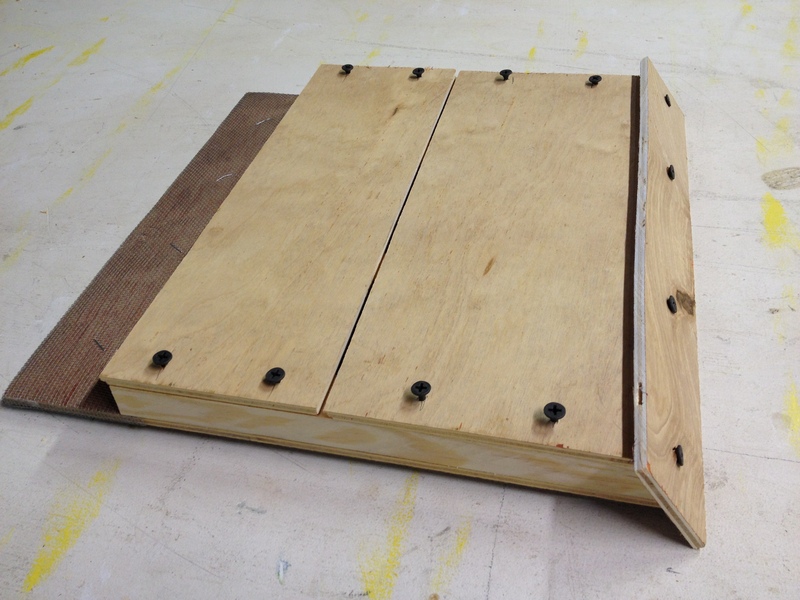 But you can use plywood of any thickness for this project. The thickness of the front and back will determine the final size of the roof piece, so that’s one reason to cut that piece last. 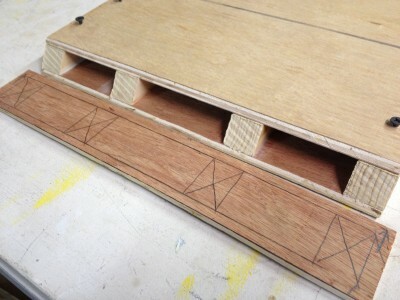 The picture below shows one slat is cut along it’s short 1/2 inch side at an angle for the roof. I did not measure the angle … I just eyeballed it on my bandsaw. 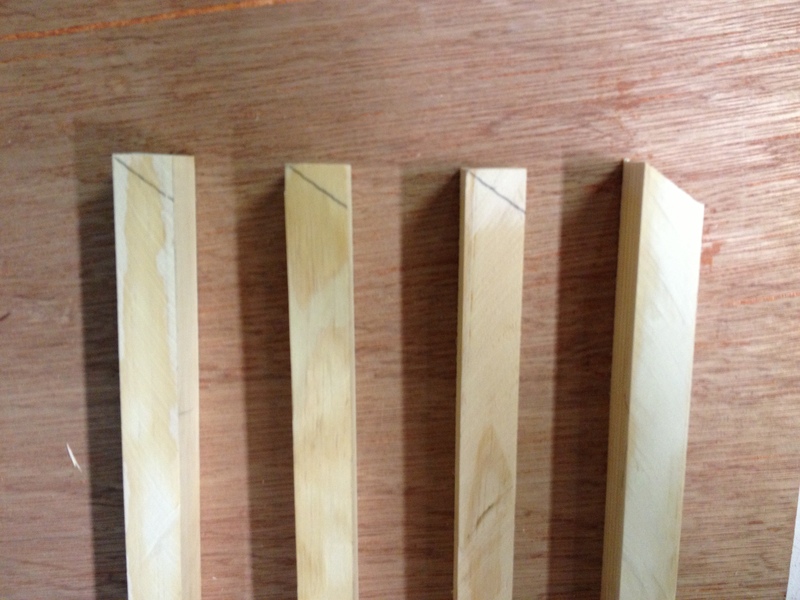 Then I took the one that I had cut and I used it as a template to draw the angle on the other three slats. That way they will all be the same angle. 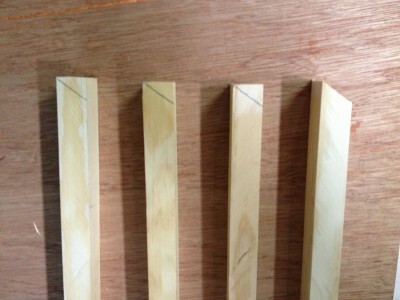 The photo below shows all four slats laid out on the 12 by 12 back piece. 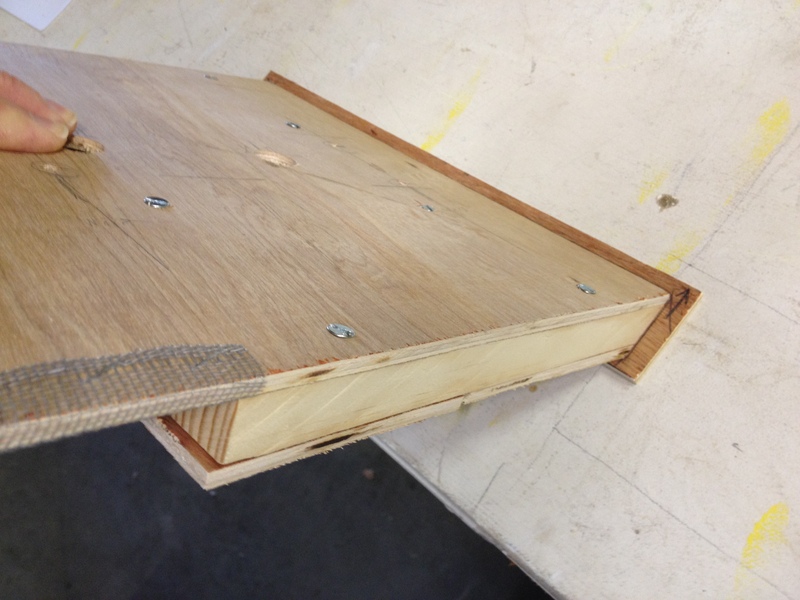 You can also see a piece of screen that I had laying around that I cut to use as the landing pad for the bats. The bats need a surface to land on that they can hold onto with their tiny claws. A surface that is soft or rubbery or something like this screen will do fine. Below you can see the front pieces laid down on the slats. Nothing is being attached together at this point. I am only test fitting everything to make sure it’s all the right size. The reason the front is in two pieces is that a bat house needs some ventilation in a way that does not allow rain to pour in. 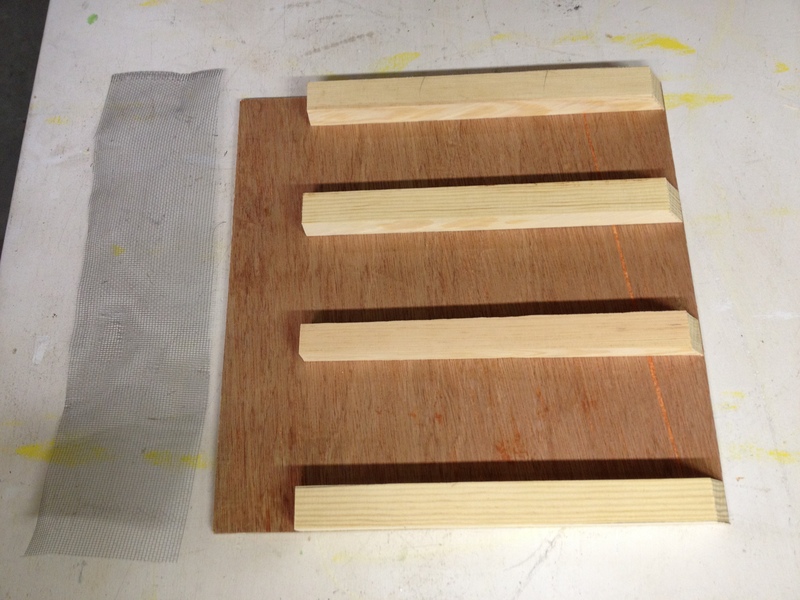 Above you can see how the four spacer slats stick out beneath the front pieces. I marked them and cut them off and below you can see them now at the proper length. Now that everything is verified to be the correct size, I’m ready to attach my landing pad. I used an office stapler to attach the screen to the plywood. 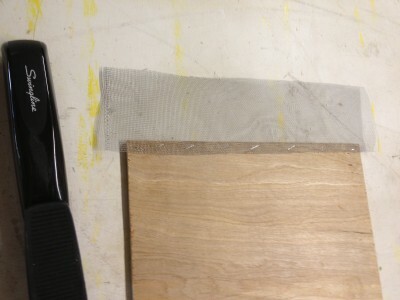 In the photo below, you can see that I started on the back side and attached the screen. Then I rolled the screen around to the front side of the plywood and stapled it every couple of inches. I used staples because my material is metal screen. 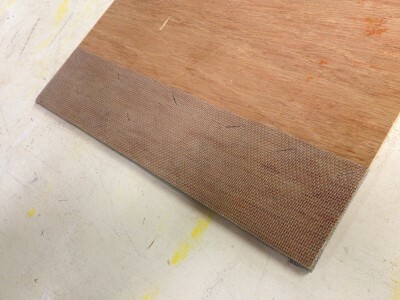 If you use foam matting or rubber matting or something like that, glue will probably work just fine. Below you can see the landing pad completely installed from the front side where the bats will land. 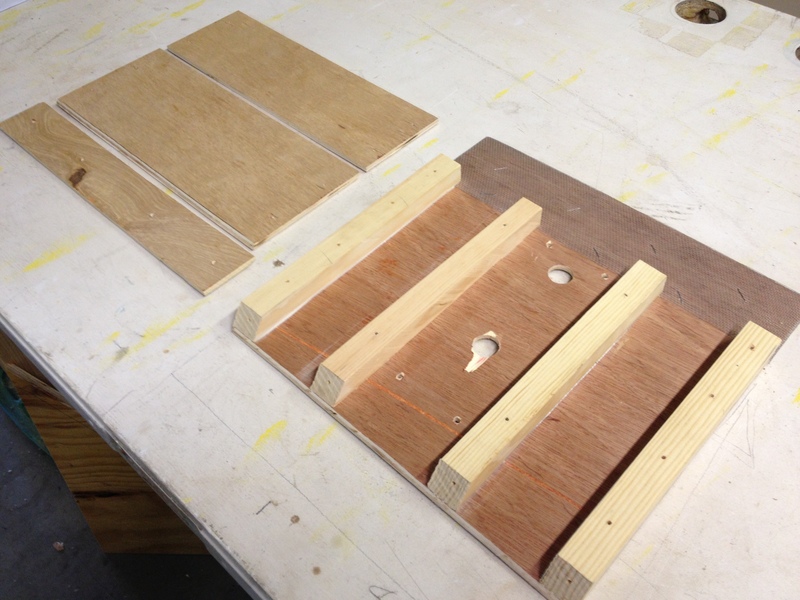 Now it’s time to assemble the spacer slats onto the back plywood piece. 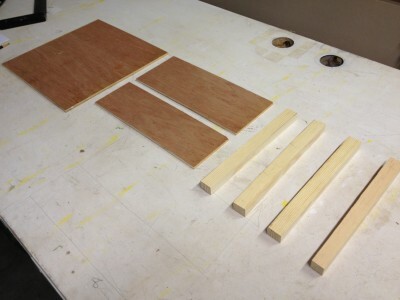 I’m going to assemble the slats onto the plywood back now, but I will hold off assembling the front pieces and the roof. This is because the back needs to be installed onto my tall light pole first and then the front pieces and the roof can be installed. 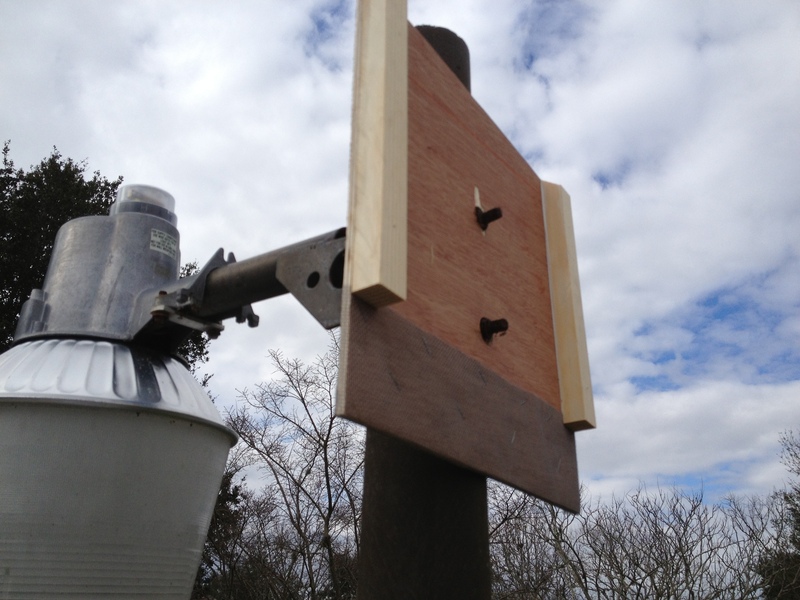 Otherwise, installation of the bat house on the light pole will be much harder after the whole thing is fully assembled. 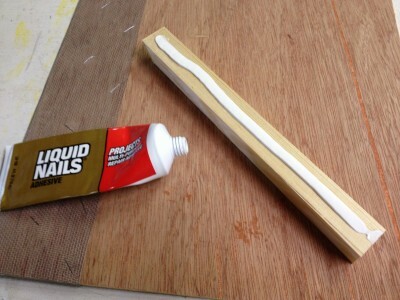 I used Liquid Nails to glue the wood pieces to each other. I also am going to use screws for good measure. This bat house will be outdoors and I want it to hold together for many years. 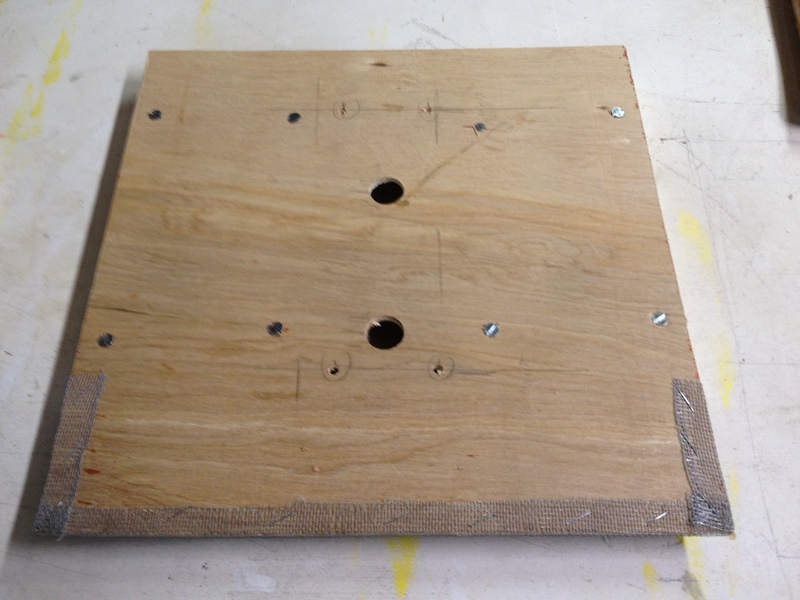 You can see below that I used wood clamps to hold the wood together tight and then I installed some screws. Between the glue and the screws, plus a coat of primer and a couple coats of outdoor latex paint, I’m hoping this bat house lasts for many many years. 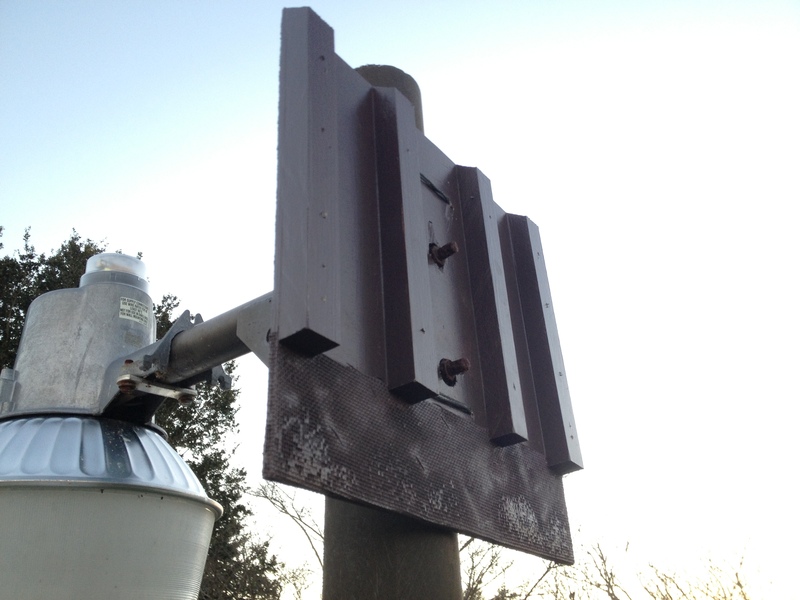 Here it is on the light pole that I want it to be installed on. There were a couple bolts sticking out of the light pole that I had to accomodate. I’m going to put some smaller holes and then wrap picture wire around and around several times in order to hold the bat house in place on the round pole. This photo shows the larger holes for the light pole bolts plus four smaller holes that I drilled for the picture wire. Now I screwed the front pieces on, but I did not turn the screws down tight. 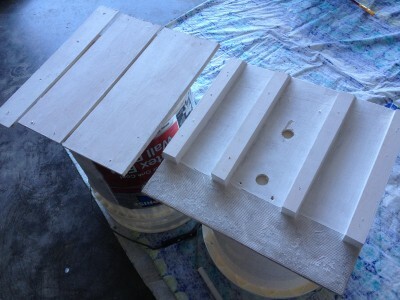 I put the screws in just enough to make holes that I can find again later after it is painted. Now I found a piece of plywood big enough to use as the roof. 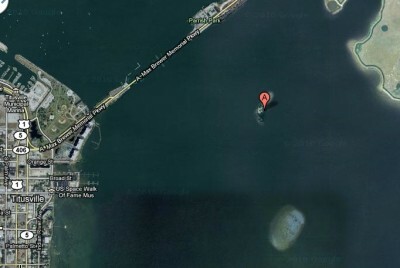 I cut it out and centered it in place and then I marked it’s final location as the photo below shows. Then I laid the bat house next to the roof so I could mark where the slats are located so I can put screws through the roof directly into the center of these four slats. Then I installed the roof, but not tight. Just to make screw holes that I can find again after it’s painted. Now I took the front and roof pieces off again so I can paint everything separately. Then I painted everything. I actually put two nice thick coats of paint because I want this to be nice and waterproof and last for many years, hopefully. You don’t really want a bat house to be brightly colored. It should not really stand out. 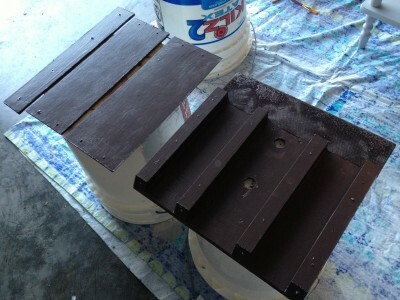 I had a dark brown paint handy so I used that. Painting through the screen was not easy, but I did it. Next time, I think I would probably paint the wood under the screen before installing the screen. Then I hung the back piece as I described earlier using the picture wire to wrap around the pole several times. Then I screwed the front pieces and the roof on. That’s all! 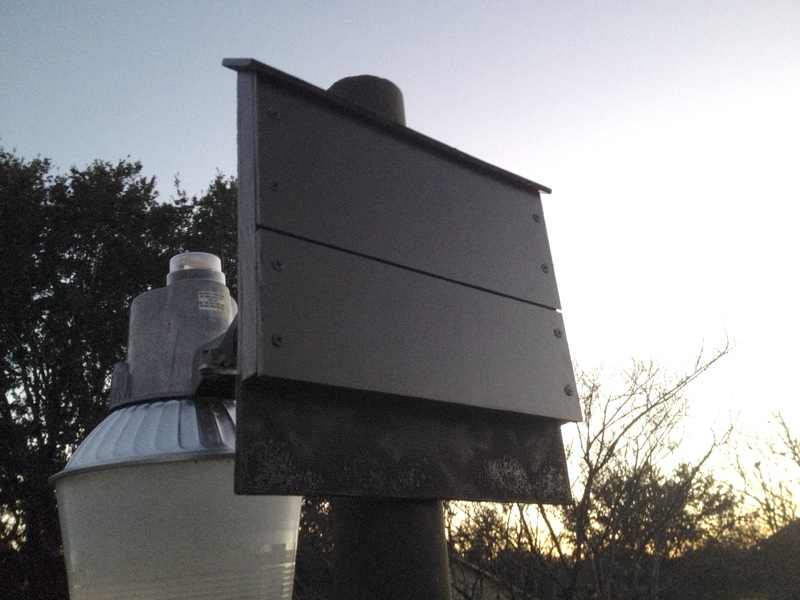 The bat house is complete and ready for occupants! Thanks for taking the time to read these step by step bat house directions! Let me know if you have any comments or feedback and definitely let me know if you used these directions to make your own bat house! Leave comments below on this blog post or send me an email by clicking the email link below in the page footer. What is all over my backyard at dusk? I had an odd experience the other evening. 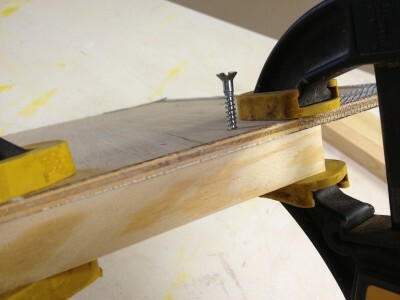 I was working in my garage near dusk grinding a new edge on my lawnmower blade. It was pretty dark and the lighting in my garage is not the greatest, so I was wearing my super bright LED powered forehead light. After I was done, I put the lawnmower away in my shed in the backyard. 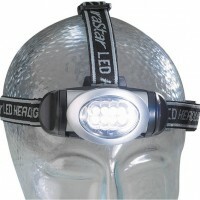 I kept the LED light on my head since it was easier than carrying a flashlight … and it is way brighter. As I was walking in the backyard with the LED light, I kept noticing these tiny little twinkles of light all over the yard that would flash occasionally as I was walking. There was maybe one of these odd little twinkles of light in every two square feet or so of yard. Please comment below your guess as to what the source of the tiny little twinkles of light were in my back yard the other evening. One guess per comment, please. 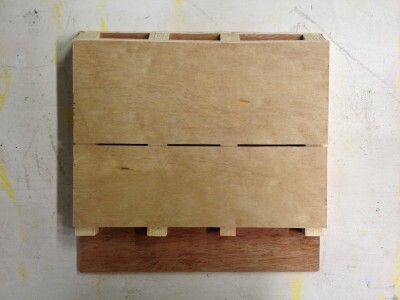 The first person to guess correctly will win a t-shirt from the Leucht Online Store. I took the boys out in the canoe yesterday afternoon and we explored the little island South of Parrish Park on the Indian River in Titusville. 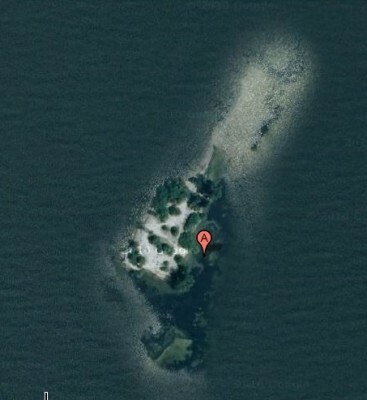 Not sure if this island has an official name, but we decided to name it Horseshoe Crab Island. While trimming our landscaping yesterday, a mockingbird surprised me and flew out of our Bougainvillea bush right outside our front door. 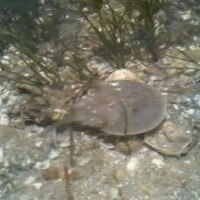 Turns out there was a nest in there with three eggs. I snapped a couple photos and went on with my yard work. Those mockingbirds are pretty fearless. 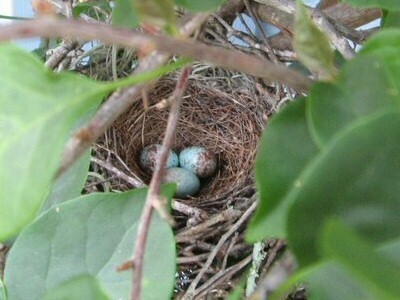 When I was edging and trimming with my gas powered trimmer, she stayed in the nest and did not leave the eggs. That’s pretty brave for a bird, because that trimmer is really loud! 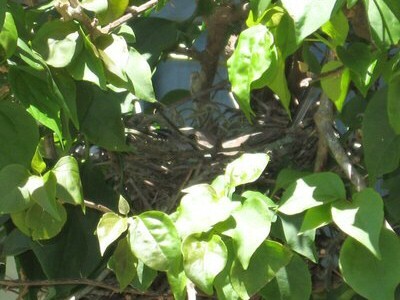 So I was able to snap another photo with momma mockingbird sitting on the nest.